How would you react if we told you that the extract from a single fruit could inhibit the growth of cancer cells of 12 different types of cancer? If we listen to the mainstream media, the fruit known as graviola or soursop (guanabana, guyabano) doesn’t possess ay special cancer-fighting properties. However, a number of studies indicate that it effectively inhibits the growth of ovarian, colon, breast, prostate, lung, liver, cervical, lymphoma, and pancreatic cancer cells, thus fighting these cancers vigorously. In reference to pancreatic cancer, graviola was shown to be effective at “inhibiting tumorigenicity,” as well as “altering pancreatic tumor cell metabolism,” according to a pathologist from the University of Nebraska. Laboratory research also showed it to be 10,000 times stronger in killing colon cancer cells than Adriamycin, a commonly used chemotherapy drug. The best thing about this is that graviola, unlike chemotherapy, can kill cancer cells without harming healthy cells. What about its effect in the treatment of cervical cancer? Scientific journals report that soursop, or graviola, is extremely beneficial and effective in the treatment of this type of cancer as well. 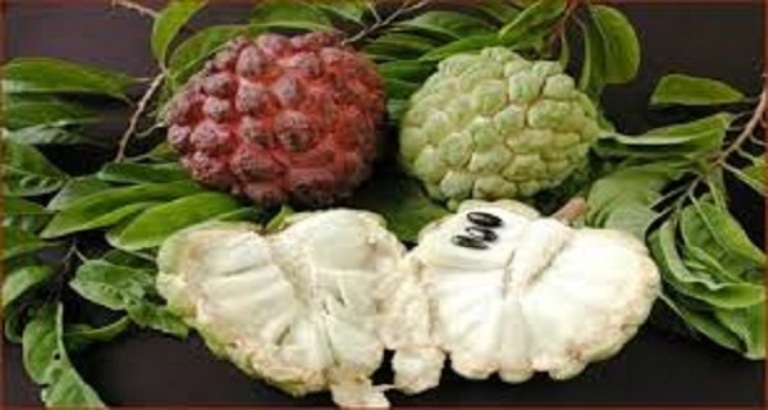 There are a number of studies all indicating that graviola contains potent anti-cancerous agents called acetogenins which are effective against a number of cancer types. Acetogenins are potent inhibitors of NADH oxidase of the plasma membranes of cancer cells. Graviola also contains phytochemicals such as Anonaine, Friedelin, Isolaureline, Annonamine, Anomurine, Kaempferol, Asimilobine, Quercetin, and Xylopine as well as compounds such as Annonamine, and Kaempferol.